The City of Cockburn, a Western Australian Council, needed a fencing company to remove some old barriers and help them identify and install a more appropriate alternative for their Len Packham Reserve in Coolbellurn in 2016. They hired K-Line Fencing Group to support them. 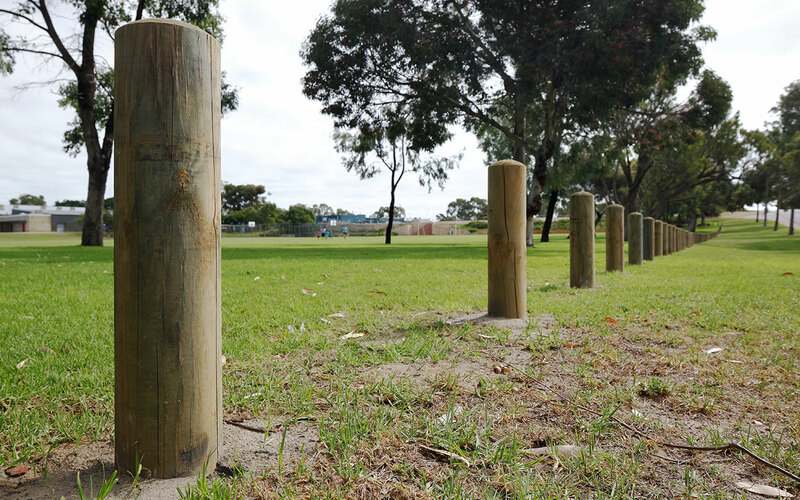 It was obvious to both the client and ourselves that the horizontal barriers that were in place on the reserve would be best replaced by vertical timber bollards. It was agreed that it would both blend in better with the environment and provide people on foot with better access to the reserve. After removing the old barriers, and clearing the site we conducted the installation of the new bollards and, indeed, the appearance of the site was instantly improved, and better pedestrian access was immediately provided. Our client was fully satisfied with the outcome, and has since hired us on several occasions for other fencing and barrier installation projects on their council-run sites.